If you are thinking that Implants are the latest trend in Dentistry think again, recently in a study published in journal Antiquity published that in a recent discovery of the remains of a Celtic woman in northern France they found an Iron Implant in the jaw along with the other dentition. This will make this the oldest Iron implant used in dentistry found till date. The Iron Implant was found in a woman who was buried in a Richly furnished Burial chamber suggesting that it was a rich woman. The Iron implant was found adjacent to the Upper incissors aligned properly along with the other dentition as seen in the image below. 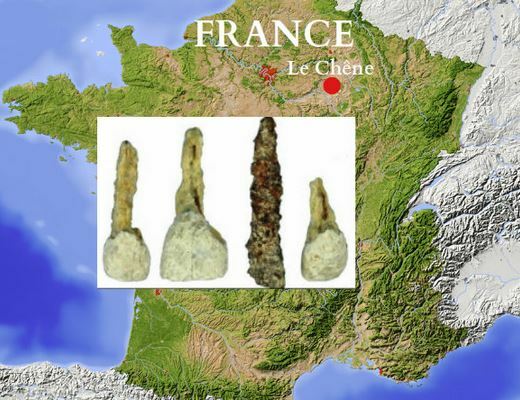 The burial chamber in Le Chene France where the Iron Implant was found is said to be 2,300 year old and in the Iran Age. 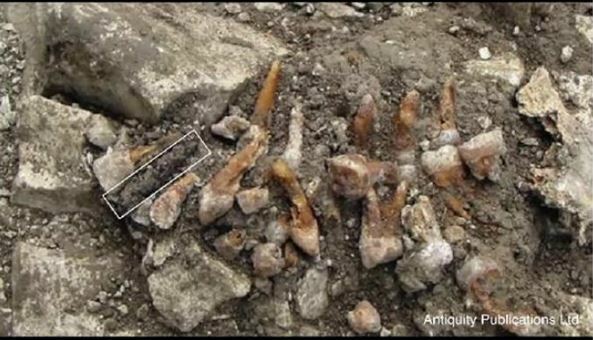 The Scientists suggest that the Iron Implant might have been covered with a Ivory shaped in the form of a tooth which might have disintegrated over time. The scientists came to the conclusion that it was an Implant because the woman had 31 teeth in and the Iron Implant or Pin made the 32nd tooth which was placed in the place of the missing Incissor. One thing which is not certain is whether the Iron Pin was placed while the woman was alive or after her death while preparing her for her burial as from the burial chamber we can make out that it was rich woman’s body. Dentistry has been reported as early as from 9000 years it was seen in Indus Valley Civilization where the use of Bow drills was seen in 7000 BC. Even the Egyptians were great dentists where the use of bridges and natural teeth in bridges was performed in dead bodies before they were mummified.